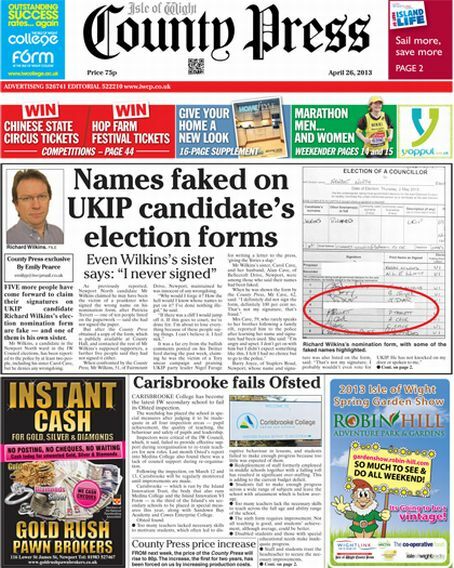 Newsquest has announced it has completed the purchase of an independent weekly newspaper despite last-minute concerns raised by a local MP. The regional publisher says shareholders in the Isle of Wight County Press have voted unanimously in favour of the buyout at an Extraordinary General Meeting. The board of the Isle of Wight County Press group had previously urged shareholders to agree to the proposed sale, despite opposition both locally and from the National Union of Journalists. Calls had been made by an island businessman, its MP and the National Union of Journalists for the deal to be delayed to allow an alternative local bid to be presented. Commenting on the purchase, Newsquest chief executive Henry Faure Walker said: “We’re looking forward to working with the Isle of Wight County Press staff, operating as they do one of the country’s strongest local news brands, and supporting them in building a more sustainable future. Tory MP Bob Seely, who represents the Isle of Wight in Parliament, had called for the planned purchase to be delayed until an alternative local plan to buy the paper can be presented. His call for the deal to put on hold echoes those already made by the chair of the island’s development board, company director Norman Arnold, and the National Union of Journalists. 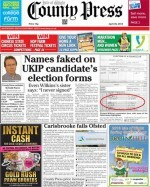 In an open letter to County Press Group chief executive Robin Freeman, Mr Seely wrote: “I am far from convinced that the County Press’s acquisition by Newsquest is in the best interests of the island: both in terms of maintaining high quality journalism and providing a grassroots reporting service covering everything from political issues to village fetes with distinctiveness and a local perspective. Mr Freeman has previously said of Newsquest’s bid: “The board of the IWCP Group strongly believe that this is the best way forward for our group of companies. Looks like the CP management moved at warp speed to sell up, brushing aside local alarm about Newsquest’s alleged track record of part snuffing life out of decent papers. We should all have a minute’s silence and hope Newsquest does a fine job in preserving the quality of this and other old papers. Papal blessings and lucky heather should be given to all staff. They might need it. Time will show how this higher circulation paper fares – or fades. Anyone running a book on it ‘geronimo’?